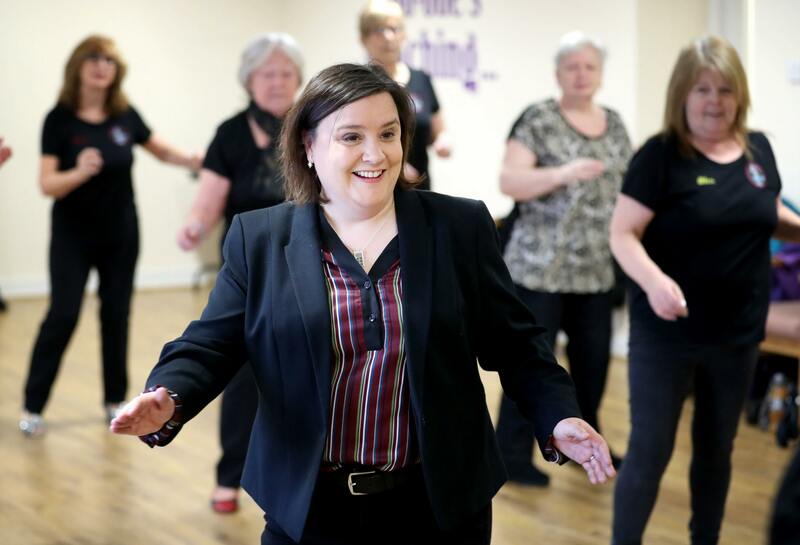 STRICTLY star Susan Calman put her dancing shoes back on as she launched a charity award scheme with the help of keen line dancers. The comedian joined a lesson at the Senior Centre Castlemilk project in Glasgow and said it was tougher to learn the routine than any during her Strictly Come Dancing run last year. Calman was launching the National Lottery Awards 2018 which recognise the work of thousands of funded projects across the UK in education, health arts and the environment. The Castlemilk centre, dubbed “a youth club for the over 50s” was one of the first to enter the competition. After a quick line dancing lesson, Calman said: “That was the most difficult dancing I’ve ever done in my entire life. It was the first time the comedian had danced since she finished the Strictly tour earlier this year. “I’m a complete convert to dancing,” she said. “I didn’t appreciate before I did Strictly the impact it has on physical and mental health, it was so enjoyable and even just doing some line dancing with the ladies this morning has cheered me up immensely. Centre manager Melanie O’Donnell said she was excited to enter the competition to recognise the work of staff and volunteers. Tonight @keviclifton finally won the glitterball on the Strictly tour. I danced beside him. He’s amazing. Thanks to everyone who came to the shows and voted. What a way to end my Strictly journey. Calman has been inspired to continue dancing and is looking forward to watching the next series of Strictly. “I’ve got some friends who I would like to take part but I don’t know if they’ll do it or not,” she said. “I was a super fan before and still am so I’ll still be sitting waiting to see who my dance boyfriend Kevin is going to be dancing with this year.